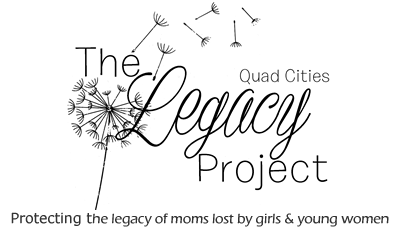 The Legacy Project is hosting an event on February 3, 9-11 am, for girls and young women who have lost their moms. 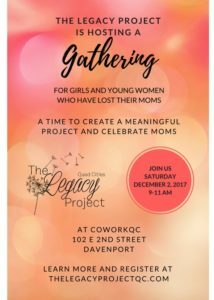 We will work on a project and celebrate moms. We encourage our guests to bring a photo of their mom with them. They will have an opportunity to tell us about their mom, but only if they’re comfortable. They can attend without sharing! 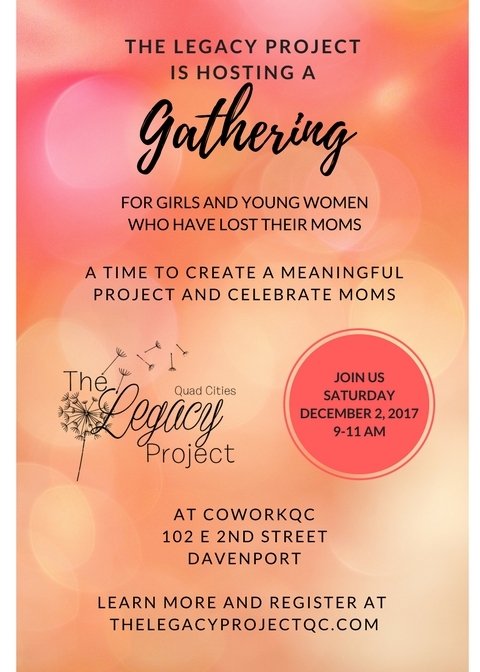 This event is free, but we ask for RSVPs so we can plan appropriately. A quick link to voting here! The Legacy Project is a finalist in a contest for three months of membership at CoworkQC! A place where we can create, collaborate and cowork. We promise, a vote for The Legacy Project will make you feel good inside. We’re humbled and honored that a panel of CoworkQC members selected us as a finalist for this contest. Thank you, panel, for believing in us and our mission: to honor and protect the legacy of moms lost by girls and young women. 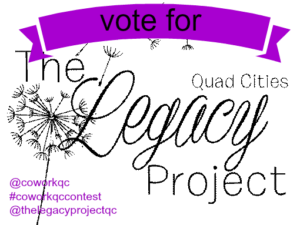 You can vote – once a day, every day until November 30 – by clicking the link below! Thank YOU for believing in us and in each and every motherless girl we will touch.